It has been an up and down season for the Binghamton Bearcats. Currently they are 4-19 overall and 1-9 in the America East Conference. Last season, they brought in new head coach Tommy Dempsey, a 119 game winner at Rider, but went on to finish the 2012-13 season with a total of three wins. Each game, the 5,000-seat Events Center barely reached 2,000 in attendance. Attending each game was a difficult thing for me to do, while anticipating an upcoming loss in an empty arena each time. The fact that I am a huge fan of college basketball is probably the reason I decided to attend every single game anyway. That night, 4,318 fans, showed up at a packed Events Center. 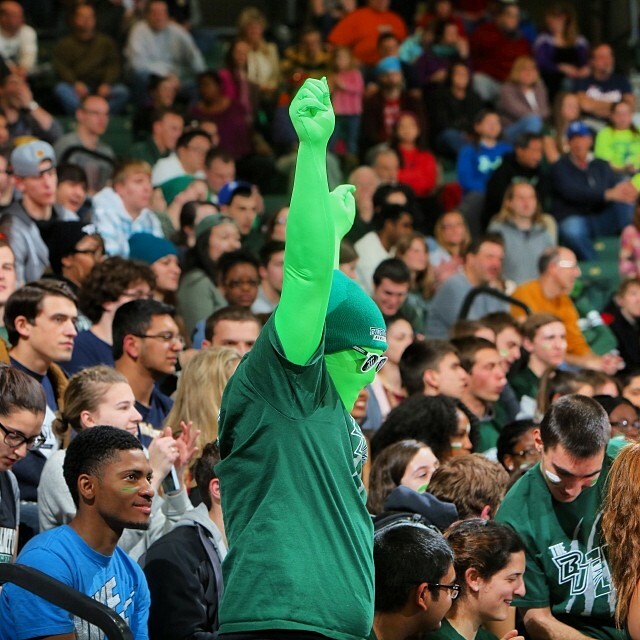 The BU Zoo was filled to the top that night with students wearing green. But that wasn’t the end of it. The trend continued, with a couple hundred students showing up for each game. But then another major breakthrough came for the Zoo when the Bearcats faced Stony Brook University at the Events Center on Tuesday night. Back on January 15th, the Bearcats lost on Long Island to the America East conference leading Seawolves by 22. As I attended the game on Long Island, I noticed that the Bearcats didn’t really prove to be any competition for the Seawolves, so I was a little nervous about Tuesday. But the Zoo showed up in full force for a game that was nationally broadcasted on ESPN3. A confirmed 1,200 students showed up out of the 4,635 fans for the game and sat with the Zoo. 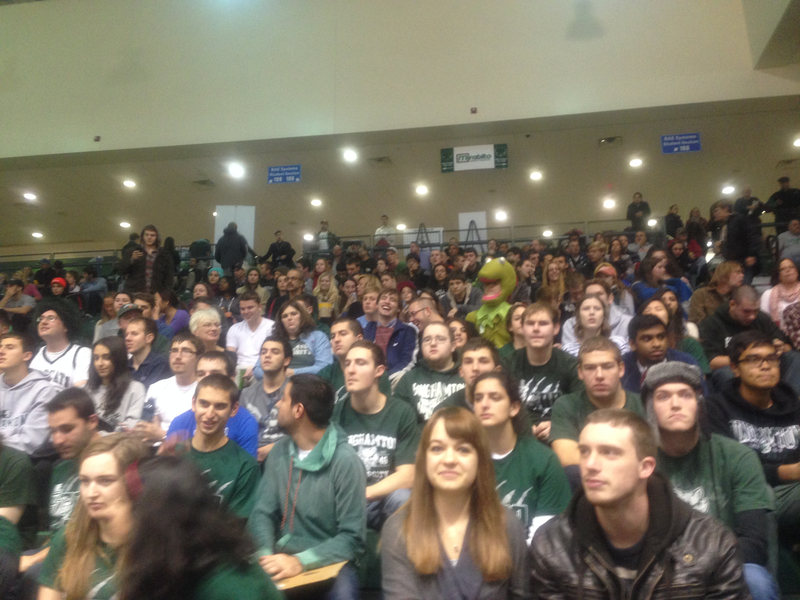 Complete with their own fan mascot Mr. Green, the Zoo did not sit down and was loud for the game’s entirety. This greatly factored into Stony Brook’s lack of production and Binghamton proceeded to take a surprising 23-18 lead into halftime. The Bearcats made it a game throughout but eventually lost the game in the final minute. Losing by five to a team that is likely to be representing the America East Conference in the NCAA tournament is something that the Bearcats should be very proud of. The Zoo received praise from coach Tommy Dempsey in a letter regarding the noise level during the game. On behalf of the Athletic Department, coaches, and our players I would like to thank you for your enthusiastic support for our team on Tuesday night vs. Stony Brook. I just want to make sure you all know that it gives our players a tremendous emotional lift when the BU Zoo is rocking like that. We are working hard everyday to improve and to reward your loyalty with some big wins to close out this season. We hope to see you all again on Saturday afternoon at 2pm. Thanks again and GO BEARCATS! And when we all thought it was over, the Zoo received another huge praise, this time on ESPN’s Pardon The Interruption from the show’s host, Binghamton alumni Tony Kornheiser. 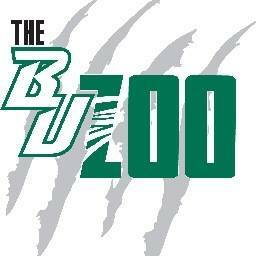 The BU Zoo has been rocking and will continue to rock the house for seasons to come.